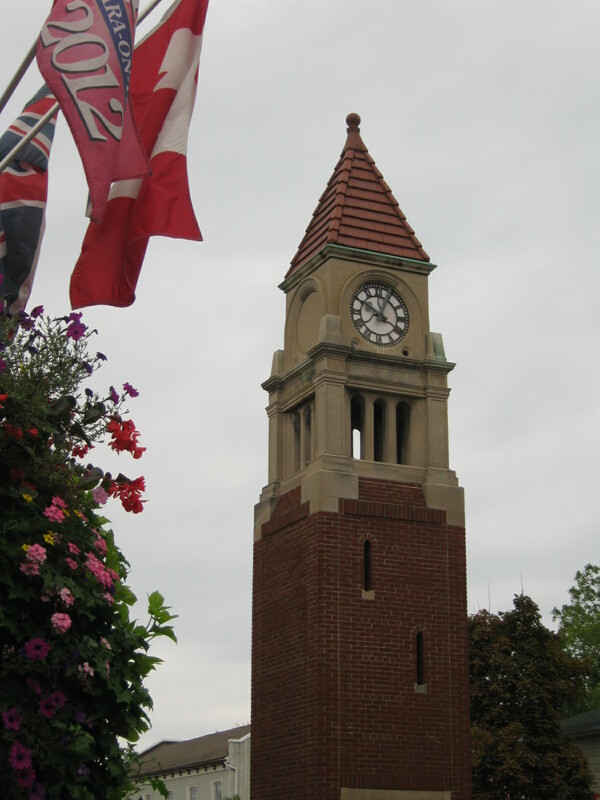 So here’s a brief photo tour of some of my favourite spots in Niagara on the Lake – besides the Shaw Festival, of course. 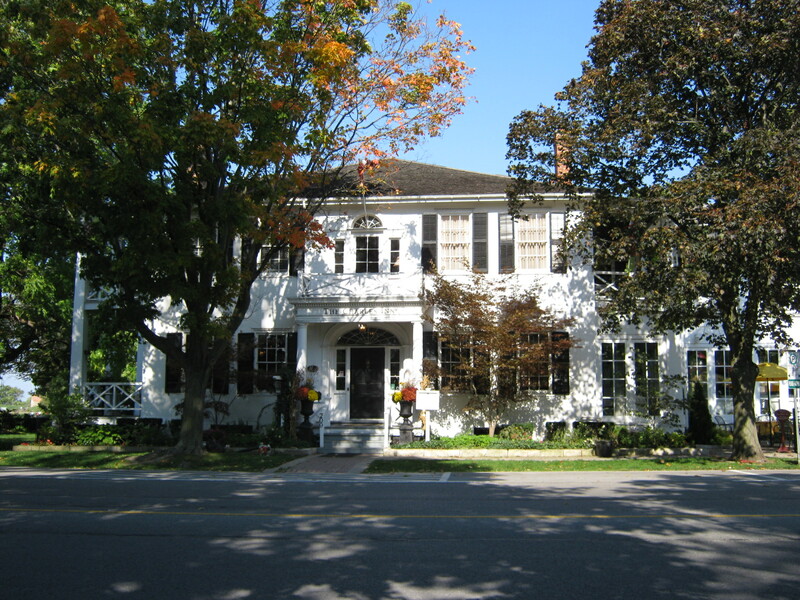 I also ate at The Stagecoach (http://www.urbanspoon.com/r/242/1690746/restaurant/Ontario/Stagecoach-Family-Restaurant-Niagara-on-the-Lake), The Irish Harp pub (http://theirishharppub.com/) and Corks (http://corksniagara.com/), had breakfast at the Charles Inn (http://www.niagarasfinest.com/properties/charlesrestaurant/) and stopped by Cows (http://www.cows.ca/) for ice cream. 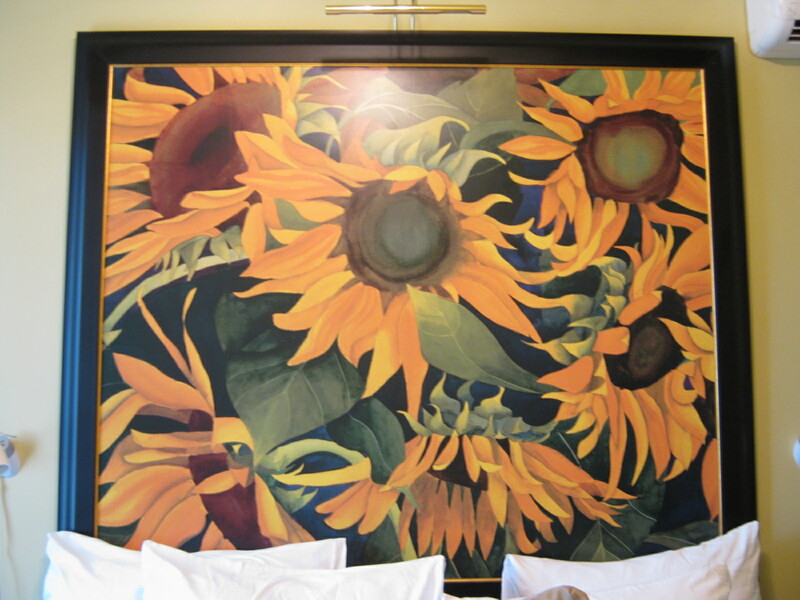 The Charles Inn – with details of the painting & bouquet in my room (the Sunflower Room) & the 2nd floor veranda (see thumbnails). Viking Shop – one of my favourites because of all the awesome wind chimes & shiny/stained glass hanging things. 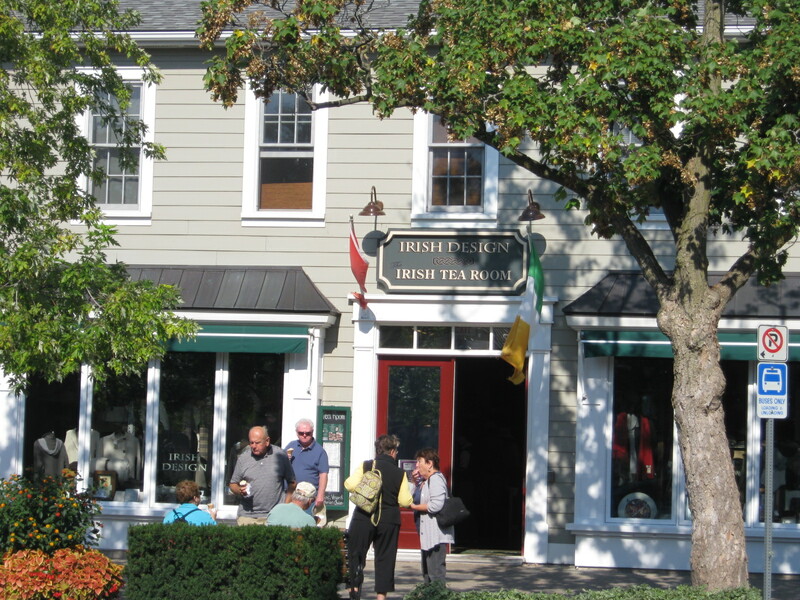 Irish Design & Irish Tea Room – shop in the front with tea room & patio in the back (tea room is licensed!). 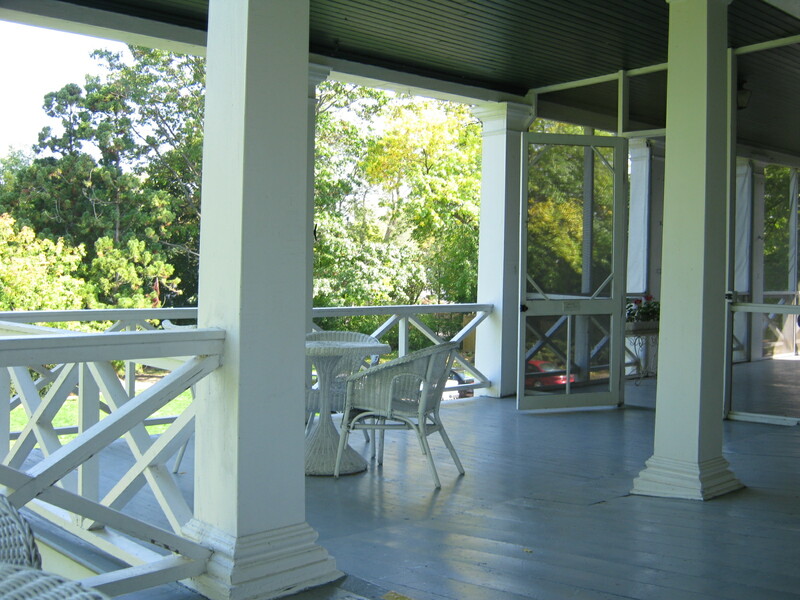 The Shaw Cafe – nice & a bit fancy, but relaxed. 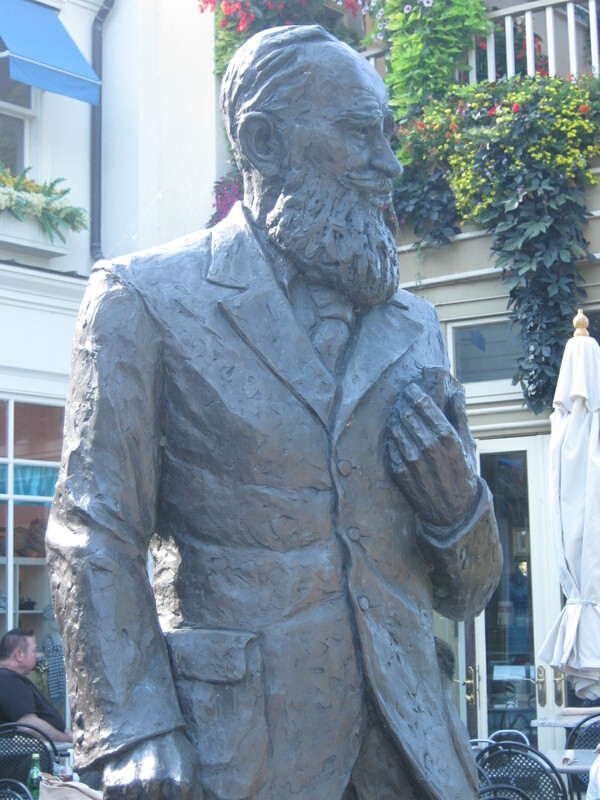 Make sure you visit the George Bernard Shaw statue just outside (see thumbnail). 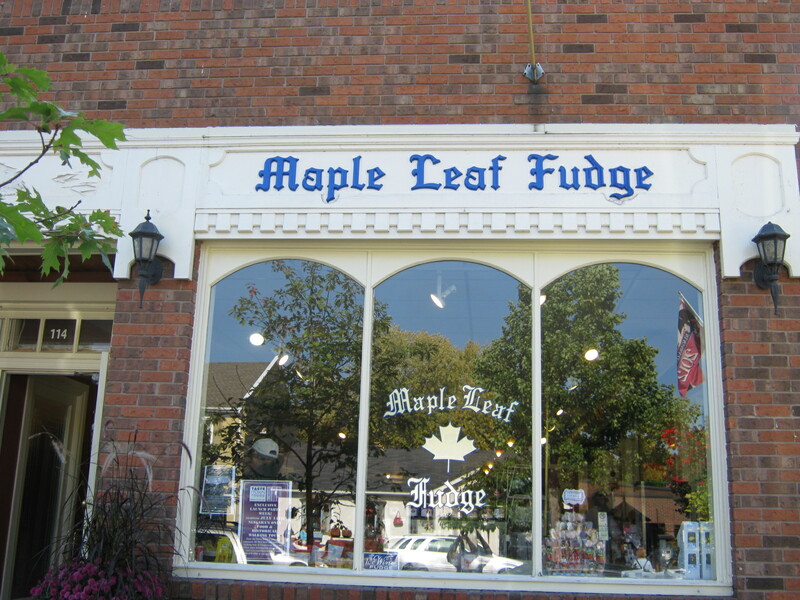 No trip to NotL would be complete without getting some fudge – I always go to Maple Leaf Fudge. Fan of movies & movie memorabilia? 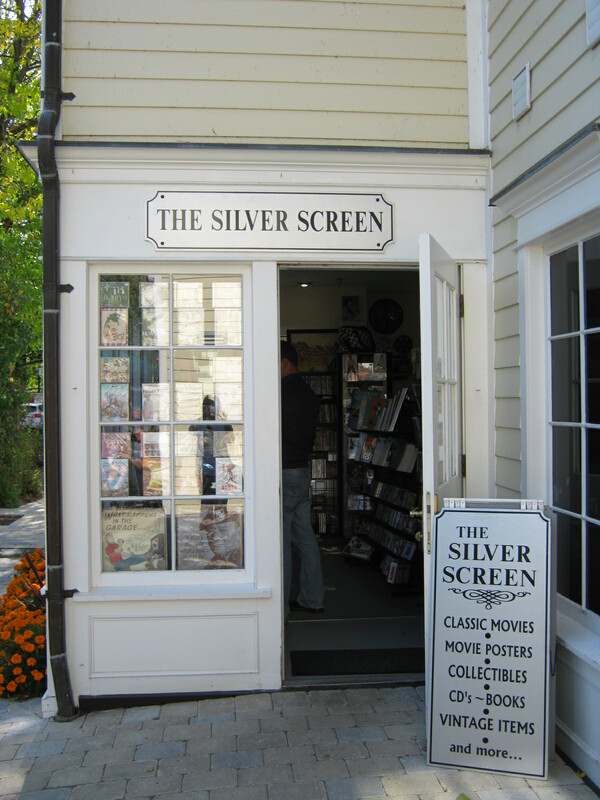 Check out The Silver Screen. 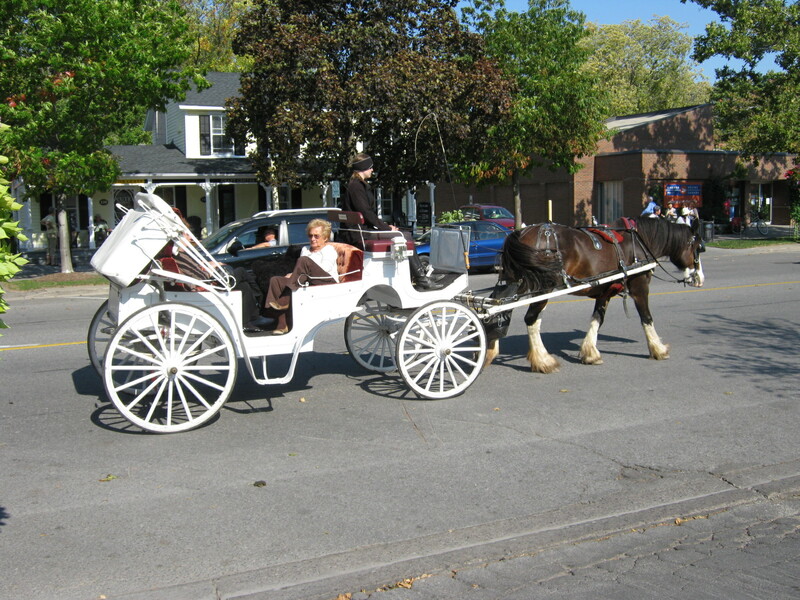 Take a horse-drawn carriage ride. 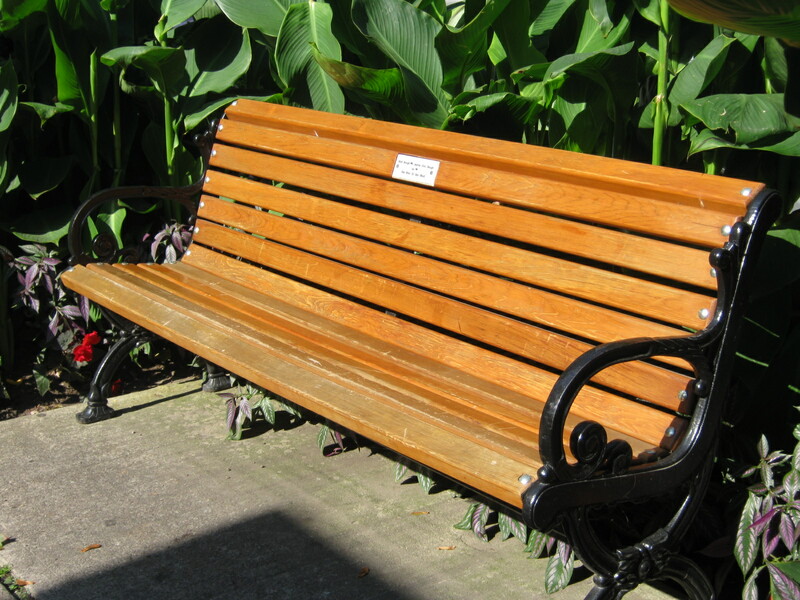 You’ll find them waiting by the Prince of Wales Hotel. Also not far from the Prince of Wales Hotel, the town Cenytaph. One thing my parents hadn’t done yet is visit the Heard Museum in downtown Phoenix (there’s also a location in Scottsdale: Heard North Scottsdale). And part of the fun was getting to and from, which we did on the light rail, part of the Valley Metro system in Phoenix. The light rail line goes between Mesa and downtown Phoenix, through Tempe and the Arizona State University (ASU) campus, with a stop across the street from the Heard. For those of you who live in Toronto, picture the dedicated track of the St. Clair streetcar but instead of a streetcar, the vehicle looks more like a train. I was very impressed by how economical the day pass was too: $3.50 for adults, with a reduced rate for the folks, who are seniors. Seriously, Toronto Mayor Rob Ford and his transit folks should check this out if they haven’t already. 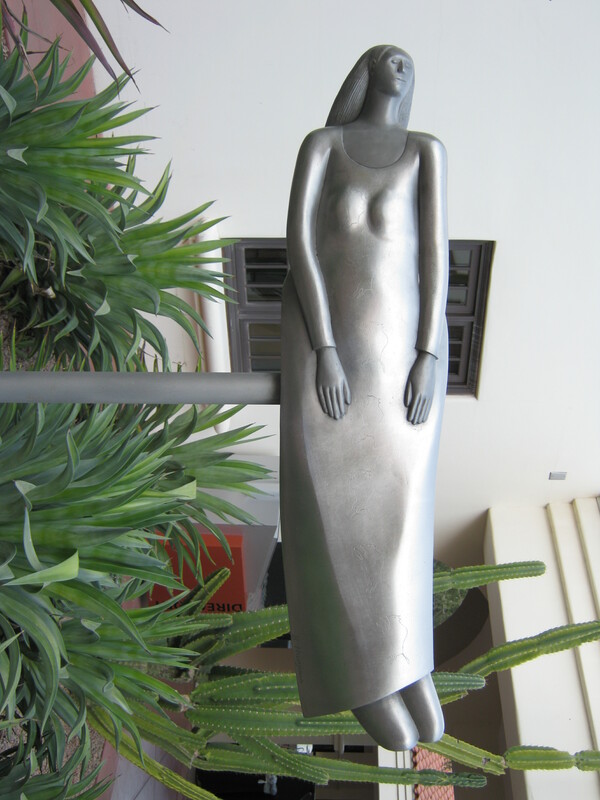 The Heard Museum houses exhibits on American Indian art and history. We decided to take two tours while we were there, then wander about ourselves. The first tour, which we took with a young tour guide named Isaiah (who turns out was Navaj0), was of the museum’s Signature Exhibit – Home: Native People in the Southwest. This exhibit features pottery, jewelry, textiles, Hopi katsina dolls and a Navajo hogan, as well as video/multi-media – and Isaiah’s tour was especially good as he was able to provide personal anecdotes of being present at celebrations and ceremonies. The overview tour gave us a look at the museum’s art collection, an exhibit of American Indian dolls and even one on the history of the bolo tie – and ongoing exhibits on the history of boarding schools (which we call residential schools in Canada) and one on the 21 tribes in Arizona, which included a presentation of student art (12- to 18-year-olds). The student art has been reproduced in greeting card for and the proceeds go to support grants for art supplies for teachers of American Indian children and the American Indian Student Scholarship Fund of the Heard Museum Guild. Perhaps one of the most interesting things we learned during our visit came up during a chat with the overview tour guide (whose name I can’t recall) when we bumped into him in the courtyard afterwards: Arizona’s native peoples prefer the term “American Indian” to “native American” – to differentiate themselves from other native-born Americans. My full last day there (a Friday), we spent the morning at the Mesa Market Place Swap Meet. And, man is that a gianormous swap meet! It’s actually not a swap meet, but a bunch of vendors in a covered aluminum building. A lot of vendors. It was here that I picked up a couple more things: my Dirt Shirt (which sports a Navajo design), and a silver and turquoise bracelet (of Zuni design). My folks got ASU hoodies for the grandsons and my dad found his sister a birthday present (which I won’t identify in case she reads this). 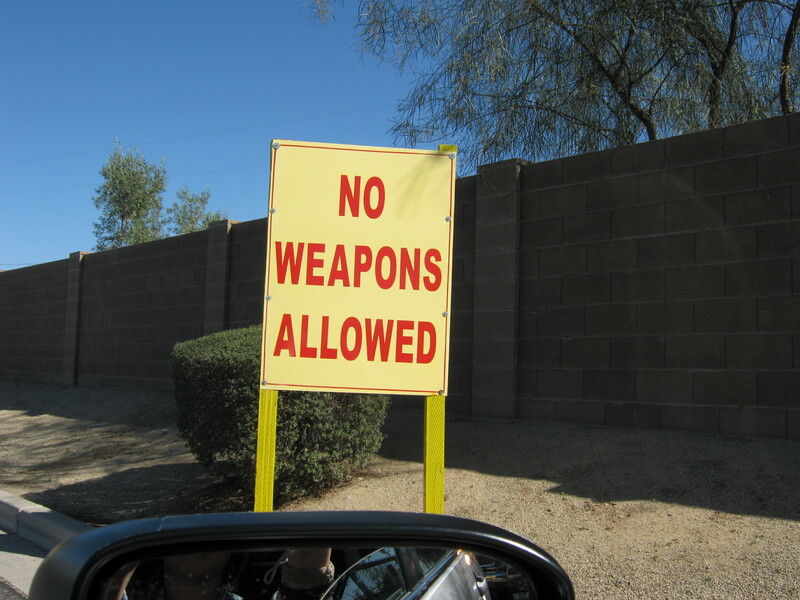 This is an honest-to-God sign I saw as we were driving into the parking lot of the swap meet. 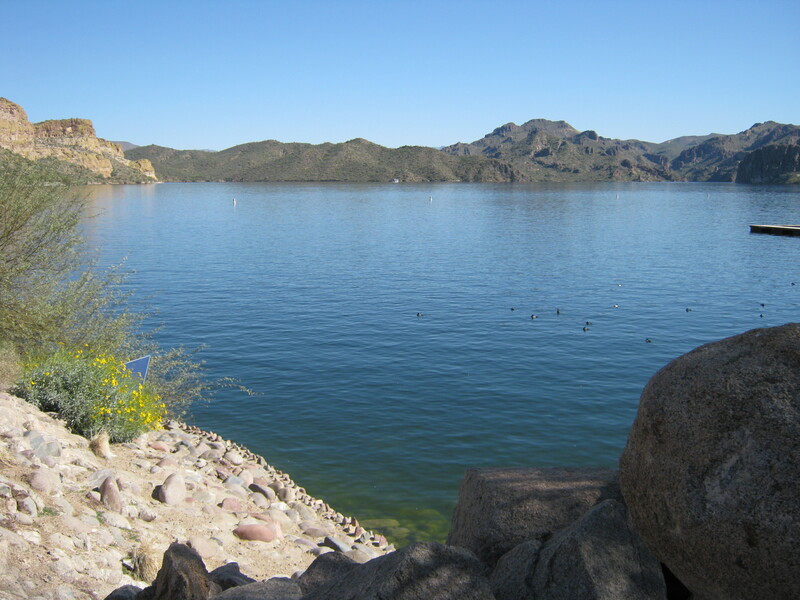 With the afternoon free – and loads of time left before meeting my aunt and uncle for dinner – we drove out to Saguaro Lake marina, in the Tonto National Forest, not far from Mesa (there’s also a paddle boat tour you can get there). We had lunch there, with a beautiful view of the lake. 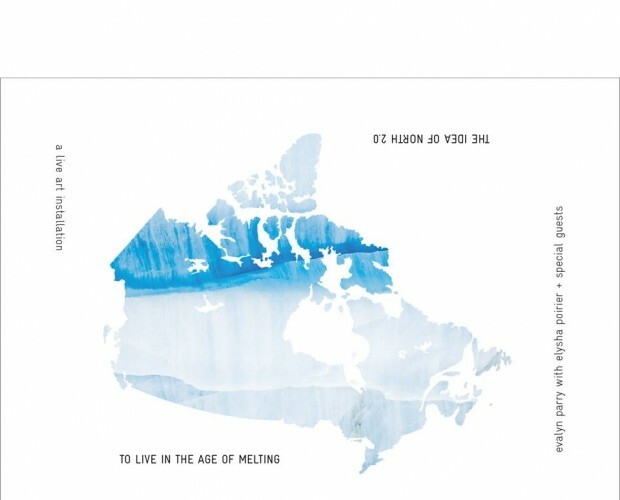 Who knew there was so much water to be found? Seeing saguaro growing by a lake seemed a contradiction, in a way. That night (my last night in Mesa), we went to Rosa’s Mexican Grill (in Mesa) for an authentic Mexican meal. I had the Flying Saucer, which – after eating their amazing appetizer of tortilla chips and salsa – I was only able to eat about three-quarters of. So good! 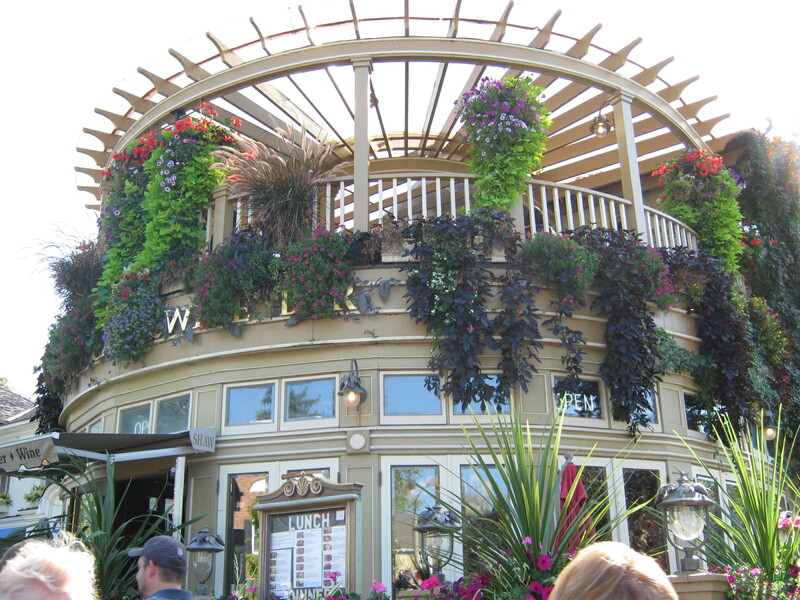 Nice, homey atmosphere and a family-run place. Highly recommended – thanks to my uncle Gerry for suggesting it. And that is it for my Arizona adventures. 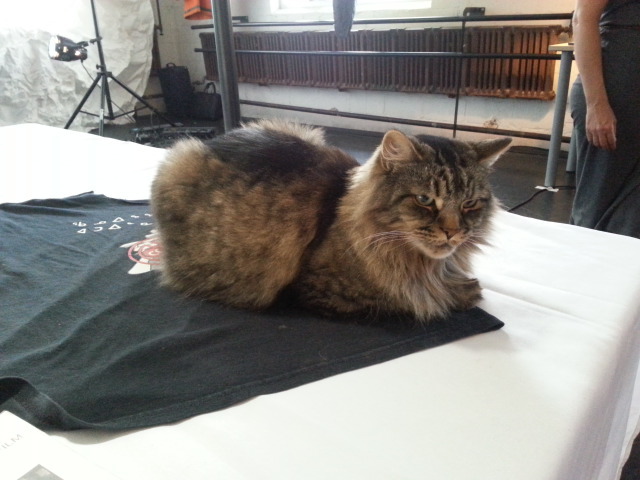 It was a great time, over so quickly – and I’d be happy to visit again. 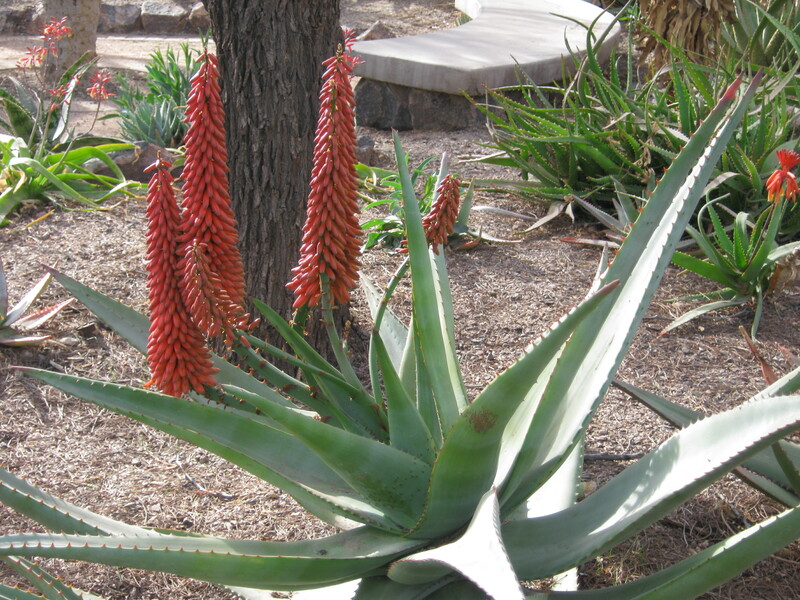 If you want to get a good sense of what grows in the Arizona desert, pay a visit to the Desert Botanical Garden in Phoenix. Flora and fauna – and even examples of structures created by desert-dwelling people – abound in this carefully tended outdoor environment. 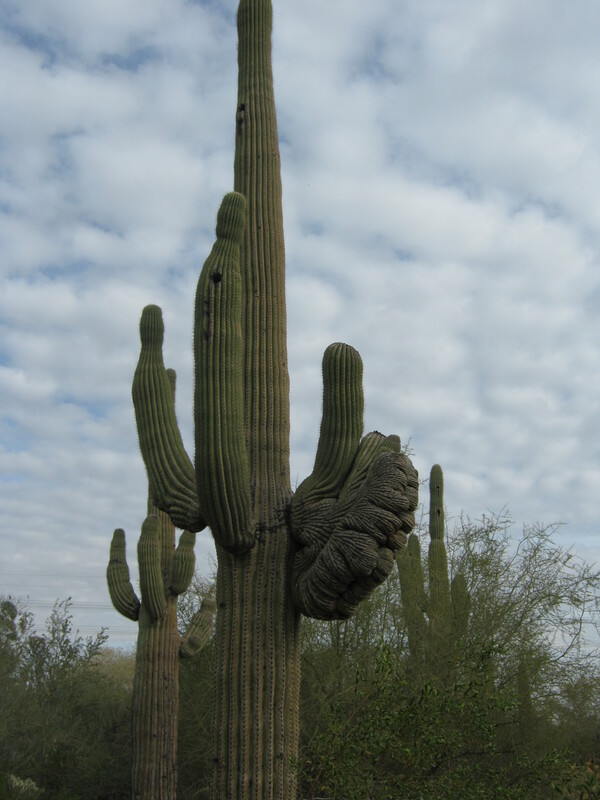 Throughout my time in Arizona, I noted how the saguaro could dominate the desert landscape. On the way back from the Grand Canyon trip, the further south we got, the more we saw (they thrive at a particular elevation – though we did see a few anomalous saguaro a bit south of Flagstaff) – including dozens of them side by side, army-like on a rocky, scrubby hilltop. They can live for a couple hundred years and don’t start producing arms till around age 45. 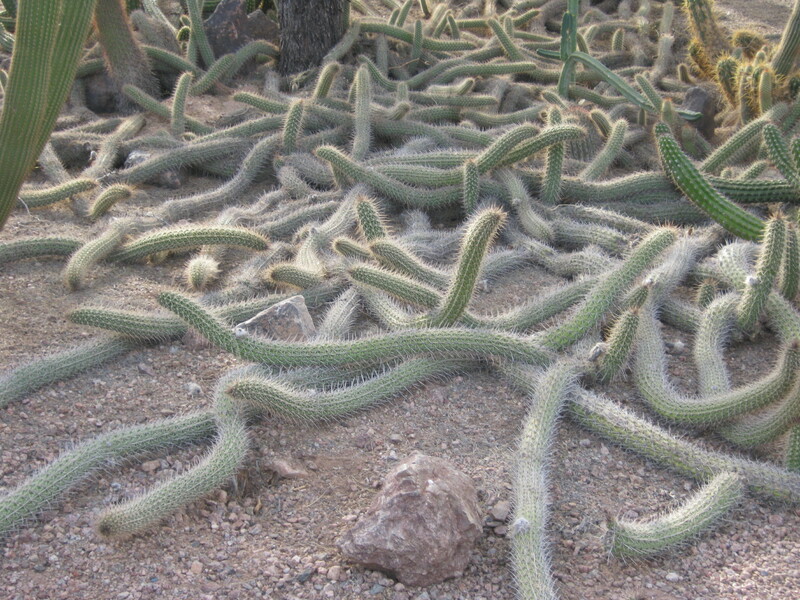 And, at the garden, we learned that they have skeletons – which, I suppose is what keeps them upright, since their desert-thriving root system is only a couple of inches deep, but spread very wide underground. The skeletons resemble ribs – and these expand and contract along with the level of water content. While the folks and I had a break coffee break at the garden’s outdoor cafe, we saw several quail roaming about the patio and a squirrel (that looked like a chipmunk, but with a faded coat), the latter working the cuteness and begging for snacks. As we were getting up to continue our exploration, a roadrunner showed up. Of course, my dad (ever making friends with our feathered friends) decided he wanted to see how fast it could run, and so he advanced on it. It took off – fast. Apparently, he learned nothing from the raven incident at the Grand Canyon (I swear, ravens were stocking him all the way back to our hotel in Tusayan after that) – and I predicted that next he would see a boulder from above with his name on it. (My first sight of saguaro and roadrunner was in Warner Bros.’ Roadrunner cartoons.) Out on one of the several garden trails, we saw some bunnies out for an afternoon snack. 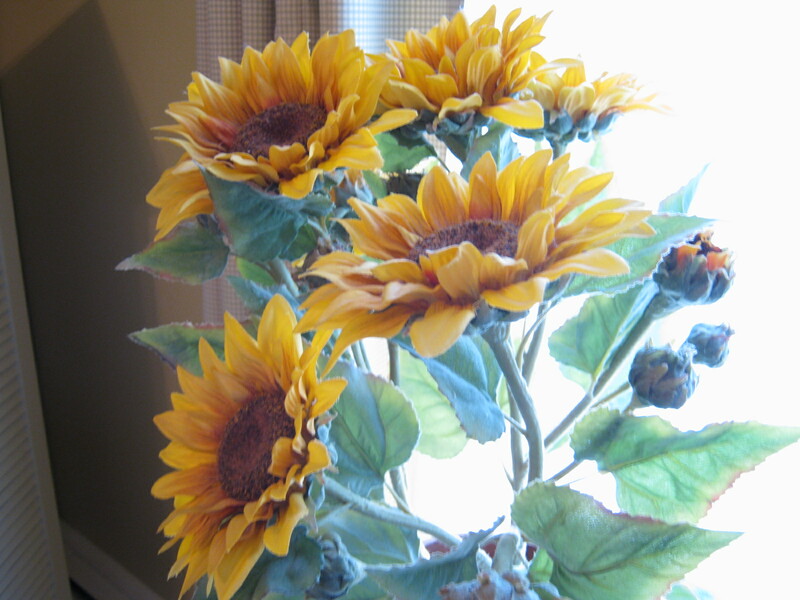 They seemed to be relatively used to the visitor foot traffic – and, thankfully, my dad left them alone. 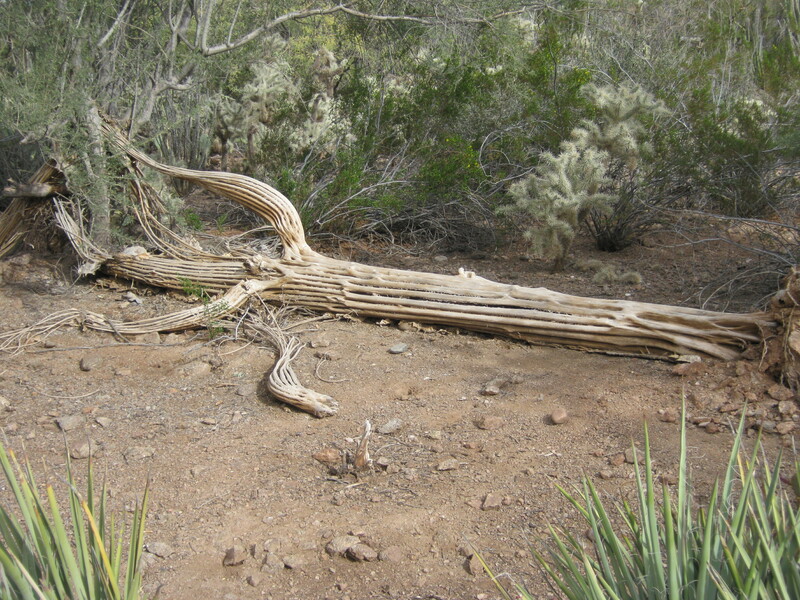 There are loads of other cacti at the garden: agave (though not necessarily the kind used in the production of tequila), prickly pear, one that looked like a pipe organ, some flowering ones, a nasty spikey one that hikers swear jumps out to catch them with its hooked, barbed needles, and even one that looked like a pile of writhing snakes – most with names I can’t recall. 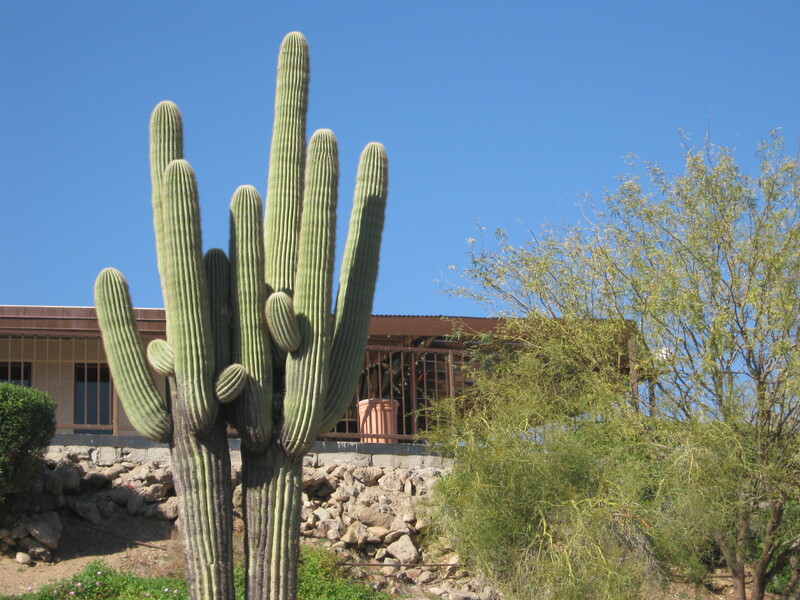 My parents did their first tour of the garden several years ago, with a guide named Cactus Jack, who warned that everything in the desert either sticks, pricks or stings. 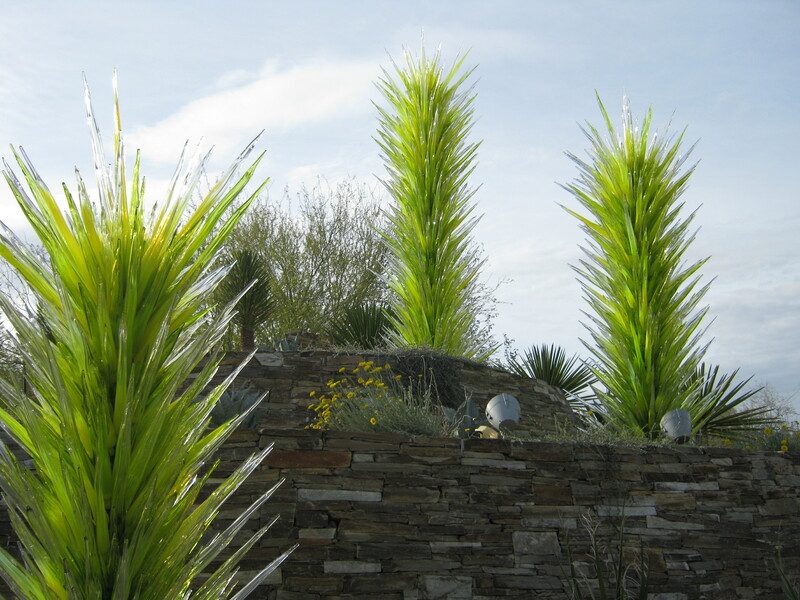 And at the garden entrance was a cacti sculpture, in glass – gorgeous. DEPARTMENT OF CORRECTIONS: Re yesterday’s post about the Così read-through. I’d forgotten that Jamieson Child was also in Alumnae’s production of You Are Here last season; that detail has been added to the post (thanks to Ed Rosing for pointing this out). My apologies for the omission.